Considering Tijuana is closer to San Diego than any other major US city, it’s no wonder the Mexican food here is so legit. San Diego's home to hundreds of Mexican restaurants, and on Tuesday, they all lower their prices to make the work week a little more bearable. It's a true public service, and we appreciate it greatly. 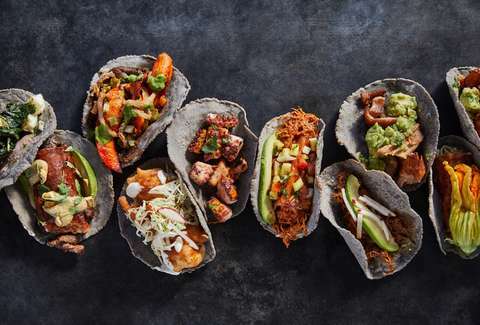 Just as every neighborhood in San Diego has its own unique flavor, each Taco Tuesday special is unique in its own way as well, from traditional street-style tacos to new-wave vegan fare. 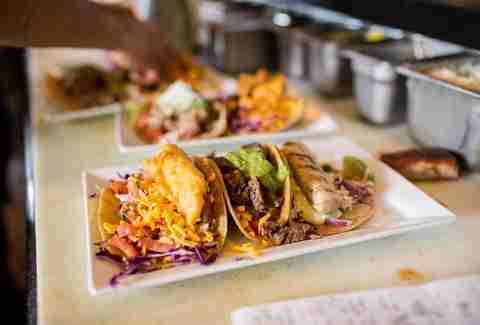 No matter where you live, there's a Taco Tuesday deal for you -- and we've put together an exhaustive list to prove it. The deal: $3.50-$4 tacos all night long. Modern Mexican soul food melds with chic decor to create a beloved hangout spot in Bankers Hill. The fare is slightly healthier than your standard place, but doesn’t skimp on taste. The tacos served at ¡Salud! 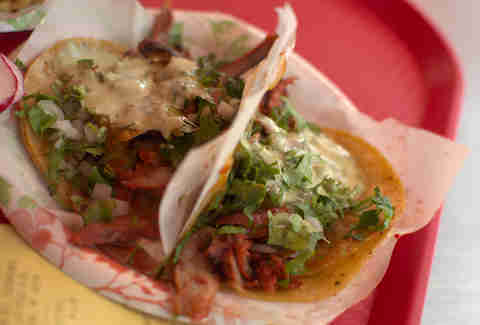 are created by the San Diego Taco Company, which has been voted the best caterer in San Diego, so you know it's good. Plus, it's located in the original Bank of Italy building, built in 1910, for a side of history with those cheap tacos. 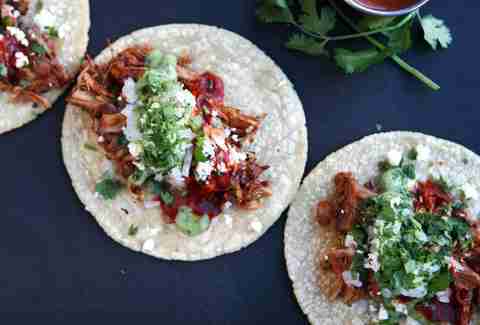 The deal: $1 off a la carte tacos. Miguel’s Cocina has been perfecting its menu for more than 30 years, ensuring the most delicious Mexican is served fresh in a matching festive atmosphere. The deal: $1.50 pastor and carnitas tacos, $2 duck and fish tacos. Mexican draft beers are $3. 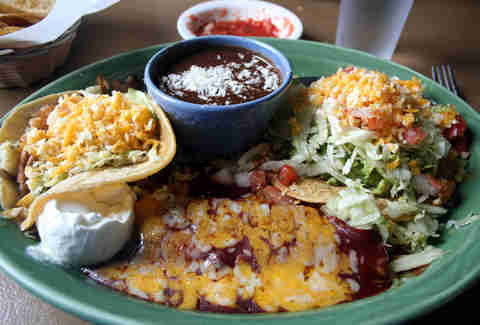 The name says it all: Señor Grubby’s is Mexican that's been heavily influenced by American food. The deal: Tacos are $2.25 - $2.40 each, every day. It's not technically a Taco Tuesday deal if the prices are low every day, but no list would be complete without El Gordo's Tijuana-style tacos (made with homemade corn tortillas); the adobada tacos are a favorite. The deal: All tacos are $1.39 (except carne asada), and $2 Dos Equis. 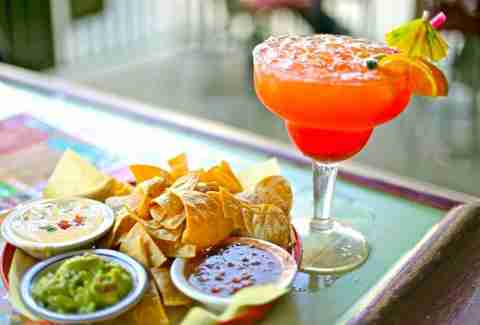 It’s a simple yet delicious Mexican place in Clairemont with indoor and outdoor seating. The tacos come with double-wrapped tortillas, and the shrimp cocktail is a must-try. The deal: $1 off featured tacos. The Brigantine is a San Diego staple for its seafood and views overlooking Del Mar. It’s a great place for Taco Tuesday or for a stop after a day at the racetrack. 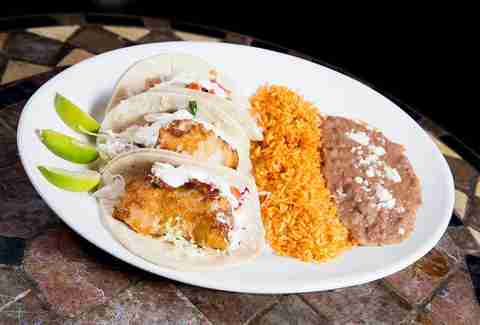 The deal: $4 baja fish and carnitas tacos, and $2 off margaritas and draft beers. Las Olas’ Cardiff-by-the-Sea location is steps from the beach with sweeping views of the lagoon. The fresh margaritas are some of the best in San Diego. The deal: $2.50 pollo asado, nopal, and pastor tacos. Salsa is such a huge part of the Mexican food experience, and The Taco Stand delivers. Not only high in quantity, the quality is also fantastic when it comes to salsa options at the Taco Stand. Try their mouth-watering creamy cilantro sauce or, for a little more heat, the chipotle. The deal: $6 for three carnitas, carne asada, pollo asado, or al pastor street tacos, and $1 off margaritas from 3pm to close. 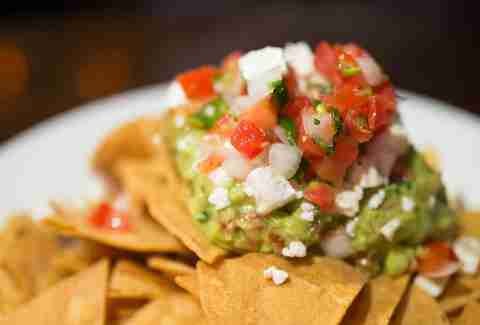 Añejo has dishes and a la carte samplings of authentic Mexican cuisine. It’s a great place to watch a game (go sports!) or have a night out with friends. The deal: $3 TJ dawgs, $3 street tacos, and $3 Tecates from 3pm to close. Sinaloa-style dishes are all cooked up fresh at La Puerta. Don’t expect to see margarita mix at this spot, as La Puerta is committed to quality ingredients without artificial flavoring. The deal: 13 tacos, tequila shots, and beers ranging from $2 to $3. Baja Betty’s is both a gay bar and a standout Mexican restaurant, with tons of different cocktails, giant margaritas, and free-flowing sangria. The deal: $6 for two tacos, $5.50 house margaritas, $3.60 Sauza shots, and $4.50 Mexican drafts and Heineken. Decorated in a Folklorico style, La Vecindad places an emphasis on the food more so than the dining experience. What they lack in silverware, they make up for in solid tacos. The deal: All-you-can-eat tacos for $7, including rice and beans all night, and two-for-one drinks from 4pm to 8pm. Owned by the same company as Cabo Cantina, Fiesta Cantina is the happy hour destination in Hillcrest, thanks to the two-for-one drink specials from 4-8pm every night. 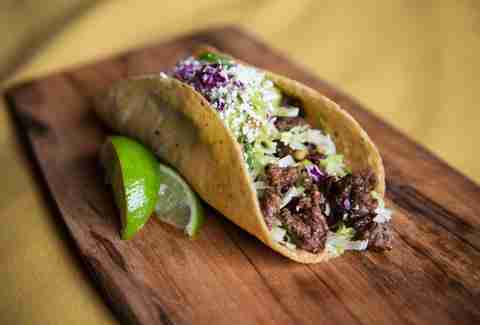 The deal: $2.50 street tacos, $3.50 Modelo Especial. 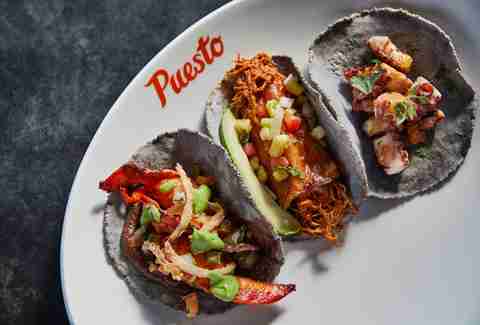 Puesto has upped the ante in San Diego's Mexican food scene with its made-from-scratch approach. Don’t expect your run-of-the-mill street tacos here; they’ve got interesting meats, like lamb barbacoa, and filet mignon. The deal: $2.25 street tacos including carne asada, carnitas and pollo asada, $3 beer-battered fish tacos, and $3 Tecates all day. Lovingly known as The Ranch, the restaurant has been around since 1945. It’s blocks from the beach and serves up classic Mexican dishes, along with a renowned cheese crisp. The deal: Half-price taco plates, nachos, quesadillas, and carne asada fries. $16 for a Modelo pitcher ($4 by the glass), $25 pitchers of sangria and margaritas ($5 by the glass), and $6 Mexican mules. If pop art met a Lucha Libre wrestler and had a baby that made delicious tacos and mixed drinks, the result would be El Camino. The restaurant is a guaranteed good time with strong cocktails and karaoke, in that order. The deal: $3 tacos and $2 Mexican beers. 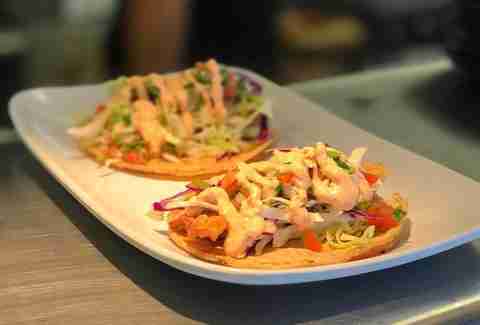 City Tacos is a neighborhood taquería with tacos inspired by recipes passed down through generations. 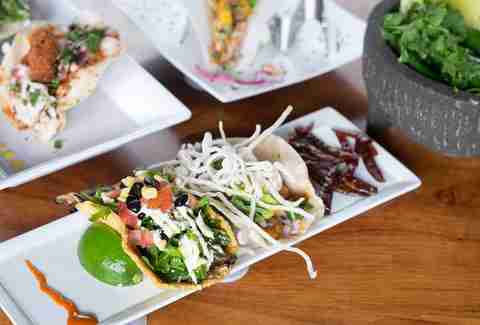 The menu features a hybrid of traditional style street tacos alongside Southern California-inspired fare (think vegan tacos). The deal: $3 tacos all day (excluding lobster) and a rotating beer special. This laid-back bar and grill is located steps from the water. Take a seat outside to enjoy the beautiful Pacific after ordering from the bar. It’s counter service, so don’t wait for a waiter to take your order. The deal: $2 fish and potato tacos and $2.50 chicken, beef and carne asada tacos. The Village Kitchen is a family-owned Mexican diner, serving up breakfast all day. Be sure to try the house salsa but have water handy. It’s spicy. The deal: Fish, adobada, beef brisket and mole tacos and Coors Lite, Tecate and house shots of tequila are all $2.50. If you want to find out what Ocean Beach is all about, pull up to the window seats at Bravos Mexican Cantina with a hibiscus margarita and enjoy the people watching. The deal: Starting at 5pm, five tacos (any combination) are $8. Variety is the staple at Los Tacos. Get a Hawaiian-style taco with pork and pineapple or go for a hard-shell taco, which are harder to find in San Diego. The deal: $1.25 fried fish tacos. Miramar Fish Tacos and Beer specializes in seafood, offering dishes like Sea Soup, and seafood paella. They’ve also got off-kilter drinks like the Tamarindo Michelada. The deal: From 2:30pm to 7pm, tacos are $1.25 (at the bar only) and most drinks are $4. Anita’s has been in business since 1973, and it’s a solid Mexican option in North County. Decorated in traditionally bright colors, the ambiance is festive and the Taco Tuesday deal, which runs from 2:30-7pm, will leave your wallet happy. The deal: $3 and $4 tacos with nine options to choose from and a rotating special that changes every Tuesday, and $4 draft beers. Cafe Coyote is in the heart of Old Town’s historic walking strip. It’s got outdoor and indoor seating all with a classic atmosphere accompanied by big portions of Mexican food. The deal: $2.45 to $4.45 tacos, and drink specials including 20-ounce margaritas for $5.45. Fred’s is high-energy with funky decor, making it a fun night out. The Taco Tuesday is extra special with its $6 Patron shots and beer deals. The deal: $3.50 tacos and $3.50 margaritas. Large homemade tortillas served up at Old Town Mexican Cafe make for a full belly and a happy customer. The deal: $2.50 street tacos. The Cantina can get really packed on Taco Tuesday, and it’s easy to see why. Not only are the all-you-can-eat tacos great, but all drinks are two-for-one during happy hour from 4-8pm. Just to be clear, the Taco Surf Taco Shop has tacos. They also have surfboards hanging overhead, making this taco shop exactly what it claims to be. The deal: $2.25 fried fish tacos, $3 grilled fish tacos. Tecates are $1.50. If you want to see where your food comes from, head to Mitch’s Seafood. The casual waterfront restaurant is located on the bay, so you can watch the boats as they come and go. 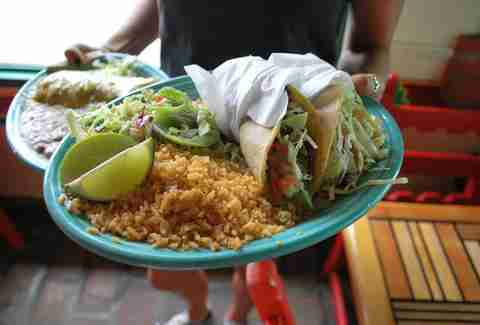 Mitch’s specializes in fresh fish and the fish tacos are divine. The deal: $1.99 beef or chicken hard shell tacos, and fish soft shell tacos. Cotija’s is in the heart of Point Loma and offers straight-forward, counter-style service. Ellen Wright is a freelancer at Thrillist who likes her fish tacos beer-battered and on a Tuesday. Follow her on Twitter: @PacificPolished.